Rugged and rustic, this Double Round wood swing frame with Deck and Slide is sold complete with a fun Nest Swing. 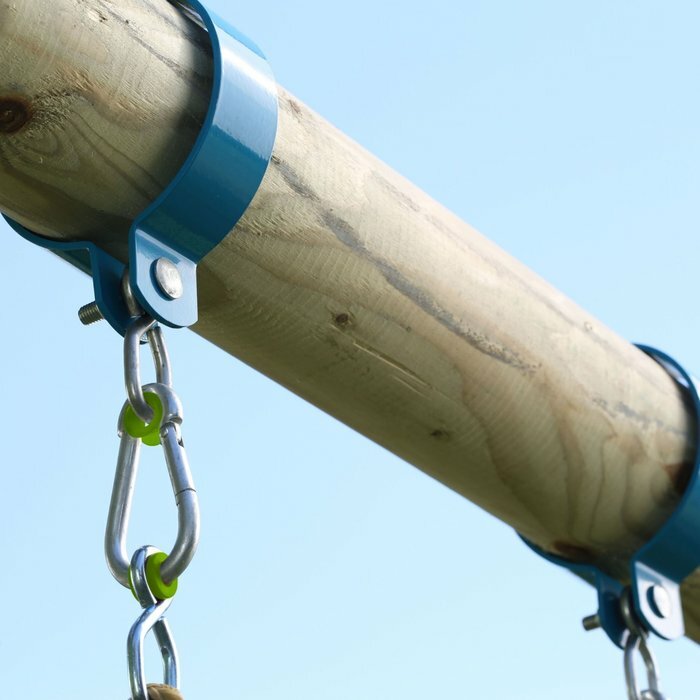 Giant TP Round wood swing set made from pressure treated FSC certified wood. 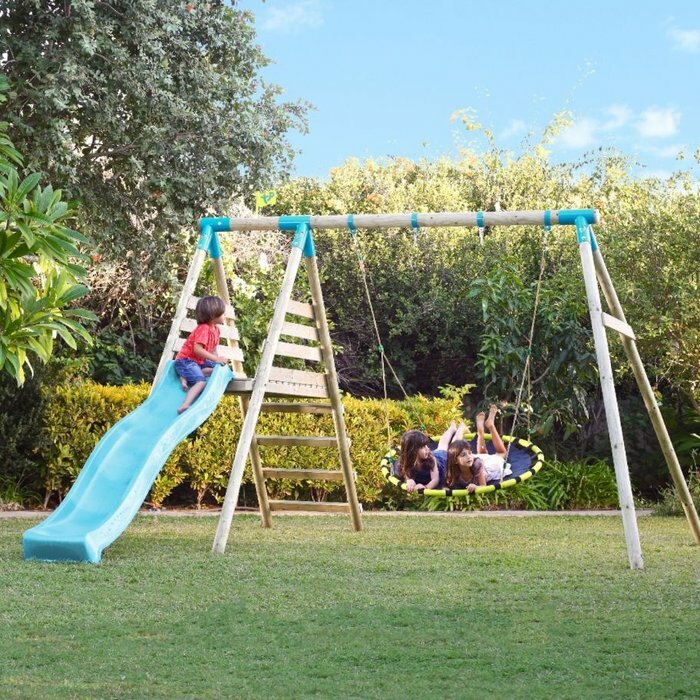 Swing frame is complete with a climb up deck with 8ft slide exit for more fun. Sold complete with TPs's fun Nest Swing. Easy to assemble. Includes wraparound swing collars which make changing seats very easy. Supplied with ground stakes and full instructions. 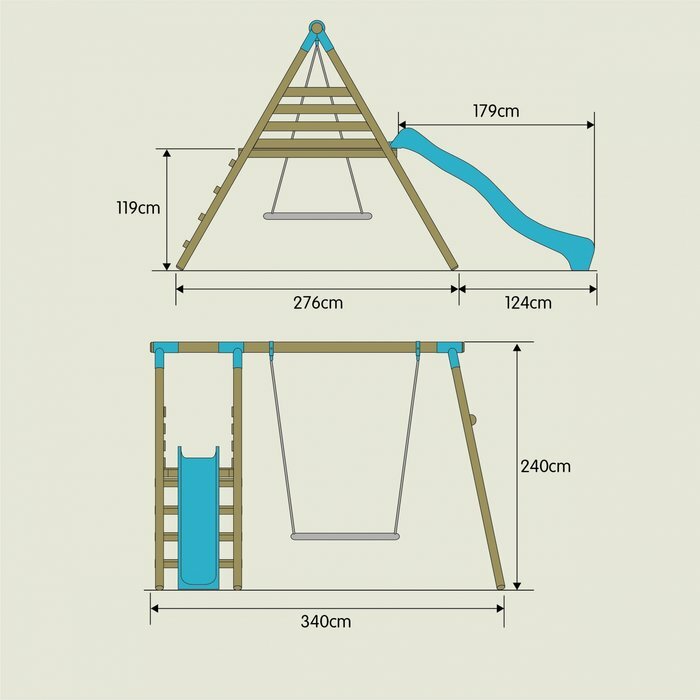 Write a review about "TP Fiordland Wooden Swing Set and Slide"
We'd love to hear your opinion! Write a review on “TP Fiordland Wooden Swing Set and Slide” today.